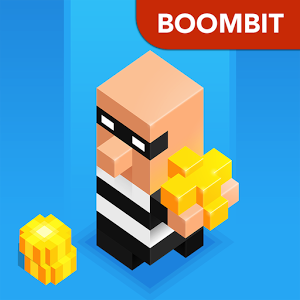 Cops and Robbers from Boombit is a game in which you are the thief with an objective to steal as many gold coins as possible without being caught by the cops. The game is played in an isometric point of view and the graphics are fashioned after classic video games. So yes, visually it’s similar to Crossy Road but the gameplay is different. The one touch controls make this easy to learn, and there’s a tutorial at the beginning as well. Once you’re familiar with the controls it’s just a matter of getting all the coins you see while avoiding contact with the cops. There are three types of police here: the first are the escorts of the president, and it’s the coins that they drop you’re supposed to steal. The second type is the solo cops who pop up randomly and you have to avoid, while the third consists of a group of 3 cops. They are aggressive and unlike the first two will go after you, so steer clear of them as much as possible. The gameplay is simple and aimed at casual gamers, but doesn’t mean it’s going to be a piece of cake. There are two difficulty modes however, Easy and Hard, so if you’re not familiar with these kinds of games it’s going to help. 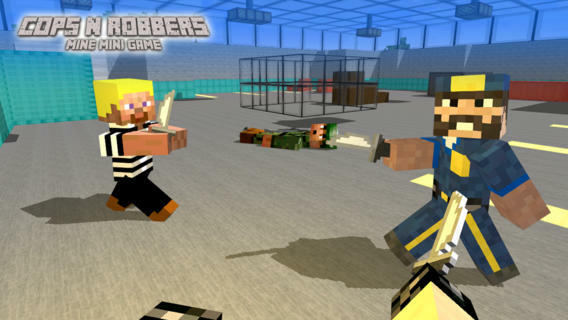 Cops and Robbers also has a leaderboard so you can compare your score with other players, and overall this is a nice game that you’ll enjoy without needing to spend a long time figuring out.